WinStar Farm announced fees for its 2013 stallion roster, led by leading sire Distorted Humor, who will stand for $100,000 S&N, as well as new Grade 1-winning additions for 2013: Bodemeister and Gemologist. Distorted Humor, the 2011 Leading General Sire, is enjoying another great year in 2012, both as a sire and sire of sires. He's again one of the leading General Sires in North America in 2012 with 16 stakes winners, and ranks as the No. 1 active sire by yearling average in 2012 with a $316,053 average. Bodemeister and Gemologist were leading 3-year-olds of 2012, and both retire to stud after impressive campaigns that saw both win major Grade 1 events. Bodemeister was the runaway winner of the $1 million Arkansas Derby (G1), before finishing a close runner-up in the Kentucky Derby (G1) after setting historic early fractions, and runner-up in the Preakness S. (G1). The son of Empire Maker will stand for $30,000 S&N. Gemologist also won a major Triple Crown prep race when he defeated Alpha in the $1 million Wood Memorial (G1), starting his career a perfect 5-for-5. The son of Tiznow was an undefeated 2-year-old last year, which included a win in the Kentucky Jockey Club S. (G2) to make him an early winter book choice for the Kentucky Derby. He will stand his first season for $15,000 S&N. The only fees to change are those for Speightstown and Harlan's Holiday, both of whom are enjoying tremendous years on the track and at the sales in 2012. Speightstown is a leading 2012 General Sire with 20 stakes winners, including two Grade 1 winners. He will stand for $60,000 S&N. Harlan's Holiday is North America's No. 1 Juvenile Sire of 2012 from a 2-year-old crop that includes five stakes winners to date, led by undefeated multiple Grade 1 winner Shanghai Bobby. Recent winner of the Breeders' Cup Juvenile (G1), Shanghai Bobby is the Eclipse Champion Pro-Tem for 2012 among 2-year-old males. 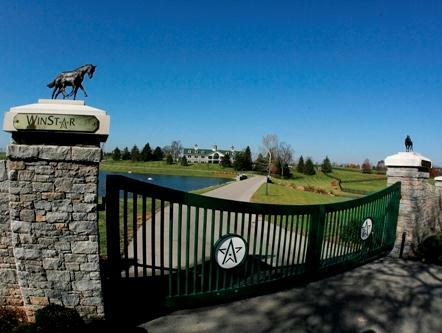 WinStar Farm is also on the cusp of opening a new state-of-the-art 18-stall stallion complex that is set to debut in 2013 and serve as home for all WinStar stallions going forward. The full roster of stallions for 2013, along with fees, are listed below. All fees are stands and nurses.